Police have named 22-year-old Salman Ramadan Abedi as the person who carried out the suicide bomb attack at Manchester Arena on 22 May. It is thought many of his actions prior to the attack were carried out alone, but police have yet to rule out whether he was part of a larger network. What more do we know about him? 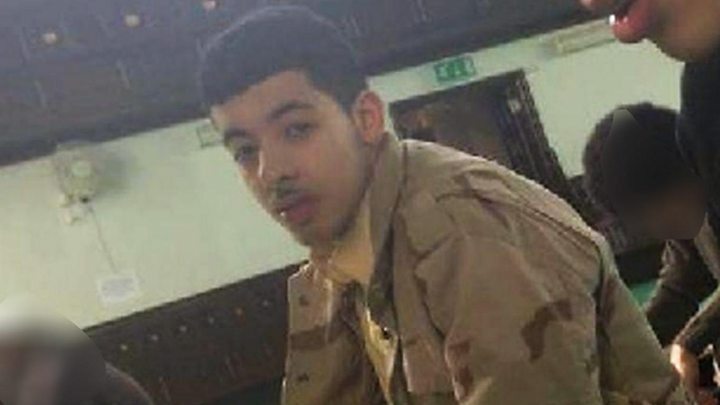 Abedi was born in Manchester on New Year's Eve 1994 to Libyan parents. They fled Libya after becoming opponents of Colonel Gaddafi's regime. Having spent a few years in London, the family moved to Manchester where Abedi's father did the call to prayer at a mosque in Didsbury. Friends remember him as a good footballer, a keen supporter of Manchester United and a user of cannabis. He had a sister and two brothers. Abedi attended Burnage Academy for Boys in Manchester between 2009 and 2011, before going to The Manchester College until 2013. He went to Salford University in 2014. He also attended football coaching sessions put on by the Manchester United Foundation. The foundation, which runs street projects, said it could not comment for "data protection reasons". A former classmate of Abedi told the BBC "he was a very jokey lad" but at the same time was "very short tempered", and would lose his temper over "the littlest thing". The man, who does not want to be identified, said: "What I realised was he had a short temper but apart from that was a very sound lad." He said Abedi was "away at random times throughout the year - but I don't know if that was because he was out the country, or just didn't show up to school, because he did hang around with the wrong crowd and was very, very gullible". "You could tell him anything and he would pretty much fall for it," he added. Another, who also did not want to be named, told the BBC Abedi did not "come across as an intelligent person". Asked whether he thought Abedi might have been manipulated by more intelligent people, he replied: "A hundred percent... I can't imagine the idea that he would be able to go through with such a complicated procedure. He must have had help." "I wasn't shocked," the classmate added. "He fits the profile for a suicide bomber." 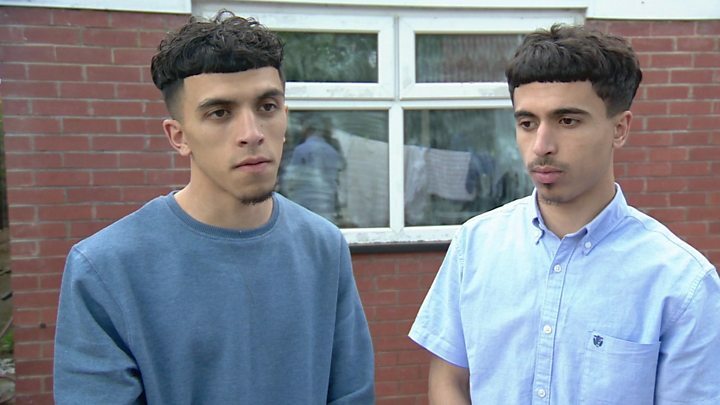 Media captionSalman Abedi's cousins say the bomber "betrayed his family"
The bomber's two cousins, Isaac and Abz Forjani, were both arrested the day after the attack and questioned by police for seven days. The pair said Abedi had never admitted extremist views, and thought that he may have been radicalised abroad. Aged 16, Abedi is believed to have fought against the Gaddafi regime with his father Ramadan during the school holidays, according to BBC Newsnight. 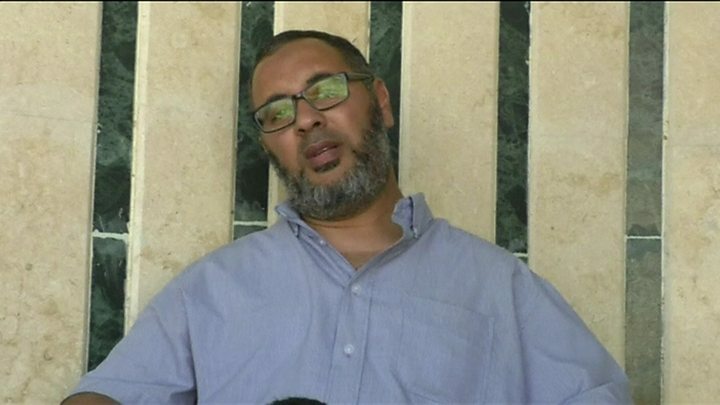 A Libyan businessman, Adel Alrayni, told BBC Arabic that Abedi's father supported the radical cleric, Abu Qatada, and used to meet him in London. Abu Qatada was deported from Britain in 2013, but was later cleared of terrorism charges in Jordan. By the time Abedi left Burnage Academy for Boys - formerly Burnage High School - in 2011, he had become "more and more religious", later cutting ties with former classmates. It was while at Manchester College two people who knew Abedi made separate calls to an anti-terrorism hotline to warn police about his extremist views. A community support worker, who did not wish to be named, said they contacted the authorities after he publicly said "he was supporting terrorism" and "being a suicide bomber is OK". Greater Manchester Police said it had not found a record of the phone calls, but added had been arrested in 2012 for minor offences including theft and assault. However, he said he had not been known to the government's Prevent anti-extremism scheme, which aims to deradicalise young people or prevent others from being radicalised. Abedi's family lived at more than one address in the city, including a property at Elsmore Road, in the Fallowfield area, that was raided by police on 23 May. His mother and father are now back living in Libya, where his father and younger brother Hashem, 20, are being held by special forces linked to the interior ministry in the Libyan capital Tripoli. For a while Abedi left the UK too, but he returned in the days before the bombing. During his trip back from Libya he briefly stopped off at Düsseldorf Airport, having reportedly been in Prague, but remained in the airport's transit zone. The BBC also understands Abedi was in Manchester earlier this year, when he told people of the value of dying for a cause and made hardline statements about suicide operations and the conflict in Libya. Greater Manchester Police would not comment on the claims. His sister, Jomana, has said she believed her brother may have been reacting to US-led strikes in the Middle East. "He saw the explosives America drops on children in Syria, and he wanted revenge. "Whether he got that is between him and God," she reportedly told the Wall Street Journal. It is also being reported that a Libyan government spokesman said 15 minutes before he blew himself up, Abedi called his mother and brother. Manchester is home to one of the largest Libyan communities in the UK. Neighbours have talked about the family having a Libyan flag flying in its house at certain times of the year. BBC home editor Mark Easton said the area was known to have been home to a number of Islamist extremists in recent years; some with links to Syria and Libya; some alive and some dead. Hamid El-Sayed, who worked for the UN on tackling radicalisation and who now works at the University of Manchester, said Abedi had a "really bad relationship" with his family. "Eventually he was doing very bad at his university, at his education, and he didn't complete, and they tried to take him back to Libya several times. He had difficulties adjusting to a European lifestyle," he said. Fawaz Haffar said while Abedi's father used to perform the call for prayer at the mosque, one of his brothers had also been a volunteer there. Mr Haffar described the mosque as moderate, modern and liberal, and said he was a member of an organisation liaising with police. Mohammed Saeed El-Saeiti, the imam at the Didsbury Mosque, remembers Abedi as a dangerous extremist, the Daily Telegraph newspaper reports. "Salman showed me the face of hate after my speech on Isis [an acronym for the Islamic State group]," said the imam. "He used to show me the face of hate and I could tell this person does not like me. It's not a surprise to me." Chief Constable Ian Hopkins said Abedi had been part of a network of collaborators and Home Secretary Amber Rudd confirmed he had been known to security services. However, the police investigation has found it most likely that Abedi assembled the bomb himself. It is less clear whether he acted alone in buying the components needed to make the device. Abedi left Britain on 15 April and travelled to Libya before returning to the UK on 18 May. It seems he was intent on committing the attack within days of his return, as CCTV has shown him purchasing more items for the bomb soon after he came back. These included nuts from a DIY store that were used for shrapnel, said Russ Jackson, head of the North West counter terrorism unit. Abedi was also tracked going to and from the Banff Road area of Rusholme, where a white Nissan Micra was found. The Micra - which was bought on 13 April - contained materials for bomb making and Abedi is forensically linked to the car, say police. Meanwhile a search is continuing at a landfill site for a blue suitcase thought to contain items Abedi discarded after assembling the device. A Whitehall source said Abedi was one of a "pool" of former subjects of interest whose risk remained "subject to review" by the authorities. The self-styled Islamic State group issued a statement after the attack claiming it had been carried out by one of its members, but that has not been verified.